Yes - I’ve been MIA for a little while. Things have slowed down for me (or should I say, sped up?). 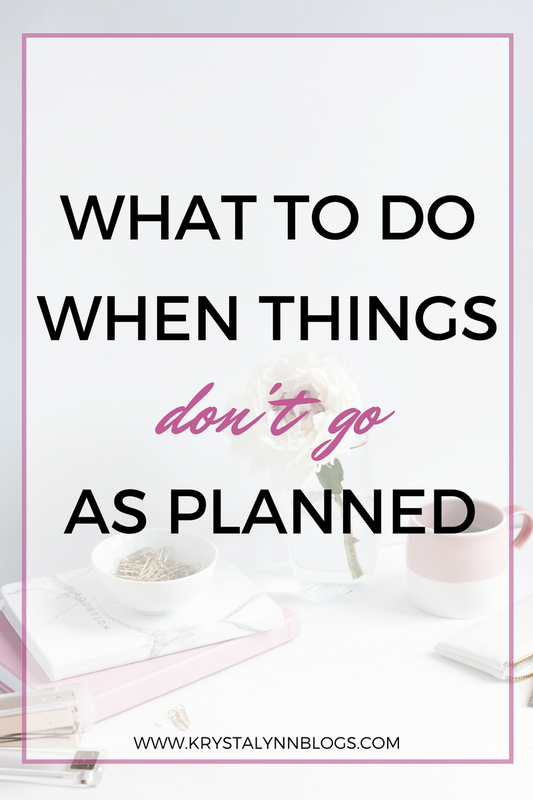 I’ve been taking a lot of time to reevaluate my goals and how I want to spend my time. When I became a blogger it was because I wanted to have the ability to work from home (or wherever I wanted to). It looked so glamorous to me. I still knew it would be a lot of work (especially at first) but I thought I would really enjoying making money writing Sponsored Content for companies I loved. Although blogging is still something that I love, I’m starting to rethink my options to make it part of my full-time gig. There are a few different ways you can make money from blogging. 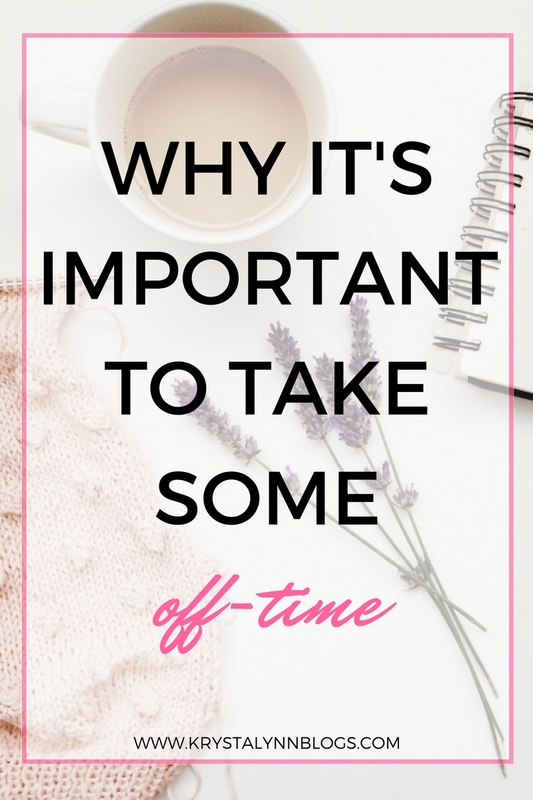 I won’t get into that right now because it’s a heck of a lot of information (and there may only be a small percentage of you that are curious about it) but the way I see my career in terms of blogging is a lot different than when I started. This makes me super excited and also a little stressed out. I’ve been really bad at making goals for myself and following through with the action plans to achieve these goals. I used to just have this idea of what I wanted in my head but then never worked towards it. Now, I’m actually working towards what I want (it only took me 30 years, ha!) and that’s a ton of work. 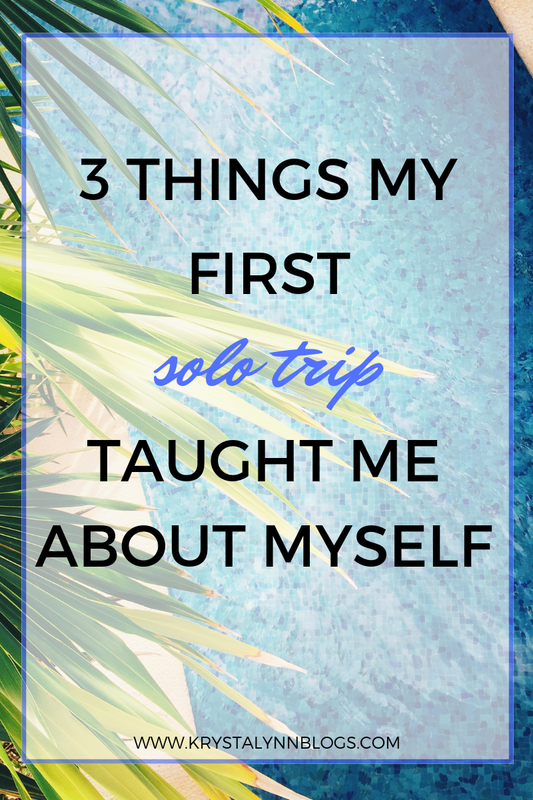 I needed to take some time off from blogging to make sure I’m doing things right. I also wanted to make sure my mental health was in check. Having new life goals and, basically, a new direction in life, can be a little scary and intimidating. I’ve been careful to make sure that I'm taking care of myself throughout this process. I’m excited to share more with you about what my plans are for the future! There will be a post about this soon. I’m not a morning person. I’d much rather hit the snooze button 3 times than hop out of bed and start the day. Unfortunately, I have no choice but to leave my snuggly dogs behind and crawl out of bed. The morning is the best time for you to be productive! When you start your day on a positive note, the rest of the day should follow suit. The first thing you can do to ensure you have a successful morning (leading into a successful day) is starting the night before. Check out my post about the Ultimate Night Time Routine and you’ll be sure to start the morning stress free! 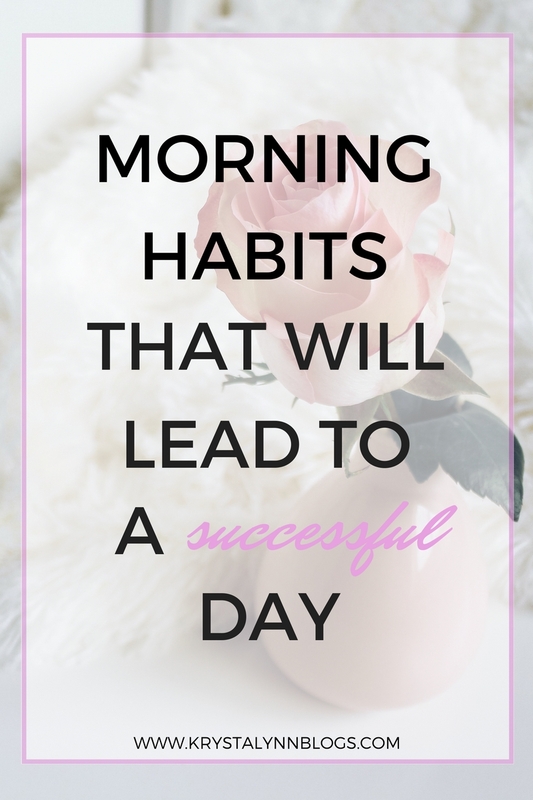 Once you wake up and manage to drag yourself out of bed, here are 5 more habits you can create that will lead to a successful day. I don’t know about you but I’m not one to walk around a clothing store all day to look for clothes. I’m the type of person who “browses” in a store, touching everything, holding things to my body thinking “hmm….I’m not suuuure about it” and then briskly walking away. When I do my online shopping I am totally different. I look at all-the-things when I’m shopping online. 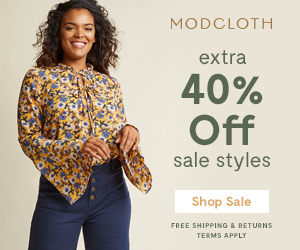 I open up a new tab for every category of clothing and accessories, get to narrow my search based on my size, my budget, and what I actually want NEED. It’s so much easier. It also gives me a way to escape the overcrowded malls and the sales ladies asking me for the 7th time if I “need any help”. Hallelujah! Shopping online is pretty much a guarantee that you’re going to get a great deal on whatever it is you're looking for because it’s so much easier to compare prices. I also don’t do any of my online shopping without Honey installed on my browser. I’ve talked about Honey before but I’ll just give you the low-down on this cannot-miss browser extension. Once you download Honey, and you’re roaming around online stores, it’ll notify you of any coupon codes that are available for that store. You know, the coupon codes for free shipping or 40% off your purchase? Yeah - those ones that you absolutely do not want to miss. Then you add items into your cart like normal and let Honey do its thing. Savings galore! 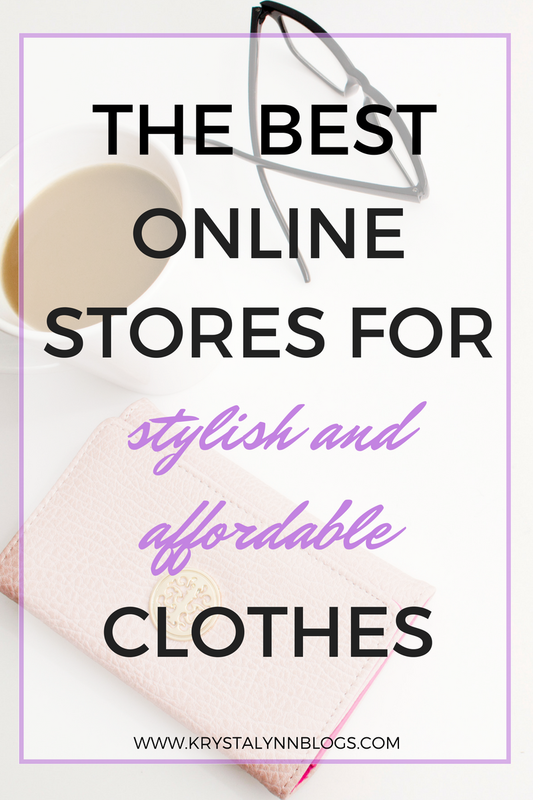 Over my many years of shopping online, I’ve come up with a list of online stores that I prefer based on their selection of clothing and accessories, price point, and how often they have great deals.